Music is one of the things that I will never give up for anything else. I got inclined to it ever since I was in Elementary. I sing a lot, (even had my first original song being recorded) I play the guitar, I know some piece on Piano, I play the Lyre, and I’m also a bassist of my band Lunchbox. If you’re going to ask who are my major music influences, it’ll be All Time Low, Paramore, Mayday Parade, and We are the In Crowd to name a few. They came here in the Philippines before and sad to say, I’ve never been to one of their concerts. Seriously. The reason why I wasn’t able to rock with them was that, by the time they went here, I wasn’t a fan yet. But for the bands like Mayday Parade and We are the In Crowd (who is both on a one-night concert recently) I didn’t get the chance to see them perform because of some priorities I have to attend to. It was like my world is going to fall apart because these are my favorite bands and yet I didn’t grab the opportunity to at least see them on this country of ours. Until one day it happens. 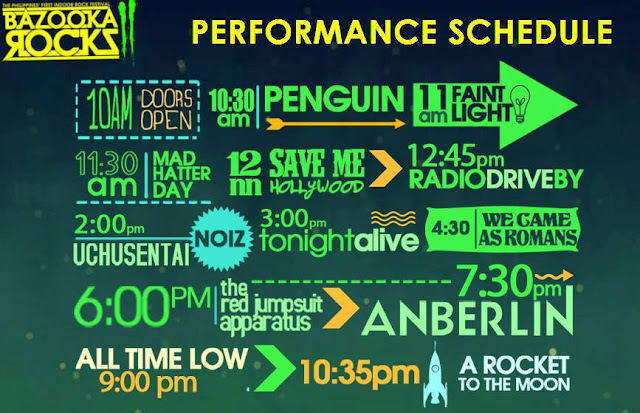 Then the other bands are as follows: Anberlin, The Red Jumpsuit Apparatus, We Came As Romans, Tonight Alive, RadioDriveBy, and UchuuSentai: Noiz. This also caught my attention. It’ll be the last night of A Rocket to the Moon on the Philippines because the band is about to separate ways. Filipino Bands like Save Me Hollywood, Faintlight, Mad Hatter Day and Penguin will be gracing the event. 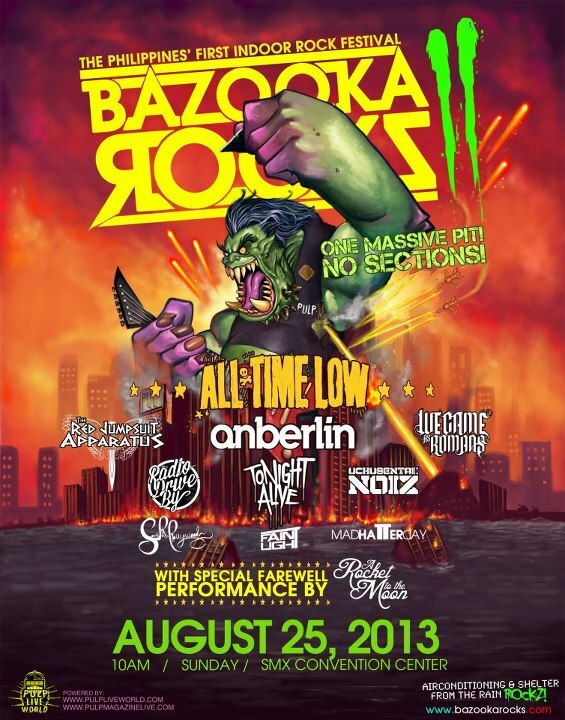 Bazooka Rocks is to be held on August 25, 2013 at the SMX. Since we all know that in the Philippines, the country can still be experiencing some rain shower from different tropical storms by this month of the year. Guess What? There will be only one section for everyone! This is called the One Massive Pit. Everyone will be rocking the place with the convenience of air condition around the place. I know it’s going through your mind right now whether or not you’ll get the chance to have a picture and autograph of your favorite band. Of course, you can! 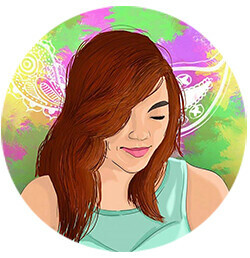 You can avail of the Fast Pass ticket which costs P 840.00. 14 hours of Live Music. One Section for everyone. This is going to be an event you should really prepare for. Tell me when you’re going and see you when I see you.